BJP MP Savitribai Phule resigned from the primary membership of the party on Thursday, saying the party was playing “divisive politics” and was misusing money to construct temples and statues. The Dalit MP from Bahraich, Uttar Pradesh, who has long been critical of the party’s leadership and resigned from the party on the 62nd death anniversary of BR Ambedkar, said she wants to get the Constitution implemented in letter and spirit. Ironically, Phule’s resignation came while prime minister Narendra Modi too was remembering Ambedkar. In a short video posted on his personal Twitter handle, Modi said the “mantra of sabka saath, sabka vikas has been inspired by the late leader”. He said Ambedkar pitched for equality before law, equality in opportunities and equality in rights and his government wants to spread these ideas among people, especially the youth. “The entire nation is indebted to him for his contribution in nation building,” he said. Phule on the other hand, told reporters, “I have resigned from the party. But I will continue as a Lok Sabha member till the end of my tenure.” “Desh ke chowikdar ki pehredari mein, sansadhono ki chori karai ja rahi hai (the country’s resources are being looted under the watch of the country’s gateman),” she said in a derisive reference to prime minister Modi. Slamming the BJP, she said people did not get Rs 15 lakh as promised but money was being misused in the construction of statues and temples. “It (BJP) is spreading hatred by raking up Hindu-Muslim, India-Pakistan issues and doing nothing to bring back those who fled with our money,” the 37-year-old MP said. Ministers, she added, were making statements against the spirit of the Constitution “It seems the BJP wants to run the country from Manusmriti and not from the Constitution,” Phule asserted, referring to the ancient Hindu code. “I am resigning on the death anniversary of BR Ambedkar as Manuwadi mentality is being promoted and the RSS, the VHP and the BJP are hurting the sentiments of Dalits and Muslims by creating a 1992 like situation. They are playing divisive politics and vitiating the communal atmosphere…,” she said. Phule said she wanted to draw the country’s attention towards the issue of reservations in promotion and will now launch an agitation to champion the cause of Dalits from December 23. “From today onwards, I have nothing to do with the BJP. My voice was being ignored in the party as I am a Dalit. There is a great conspiracy against Dalits and their rights. Reservation for Dalits and backwards is also being slowly taken away,” she said. On Tuesday, Phule said Lord Hanuman was “a Dalit and a slave of ‘manuwadi’ people”, adding her voice to the row which erupted over UP chief minister Yogi Adityanath’s statement that the deity was a Dalit. Asked about the Ram temple issue, pending in the Supreme Court, Phule said the BJP is raking up the matter as it has no other issues. “The country does not need a temple. Will it end unemployment and other problems of Dalits and backwards? The temple will benefit Brahmins, who are only 3 per cent. 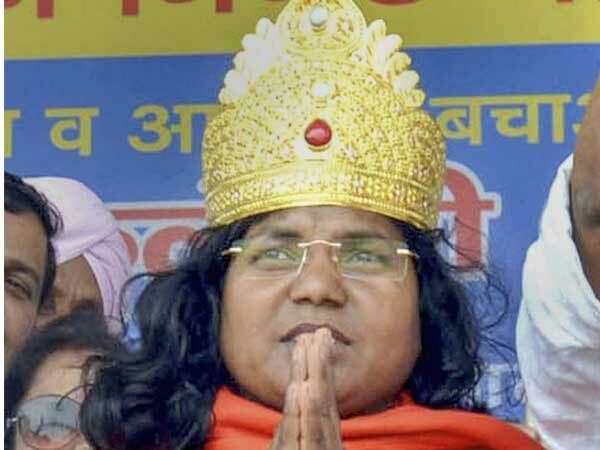 The money offered in temples are used by them for their gains and make our community (Dalit) their slave,” she had said.